GATE 2019 Exam Result has been released. The Indian Institute Of Technology Madras has released the GATE 2019 Answer key today i.e. 20 February 2019. However, to access the Admit card candidates need their GATE enrollment ID/email ID and password. The GATE 2019 Admit Card can be easily accessed by entering the GATE 2019 Login details. The Graduate Aptitude Test in Engineering is an auspicious examination that every aspirant, who wants to do Post-Graduation in Engineering. 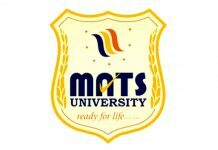 Also, qualifying the examination is the first step to admission into NITs and IITs. But their admissions to these Prestigious Universities is completely based on the cutoff marks of individual colleges. So, knowing about the GATE 2019 Examination is important. GATE 2019 Registration was open from 01 September 2018 and the deadline was extended to fill the Application form was till 01 October 2018. 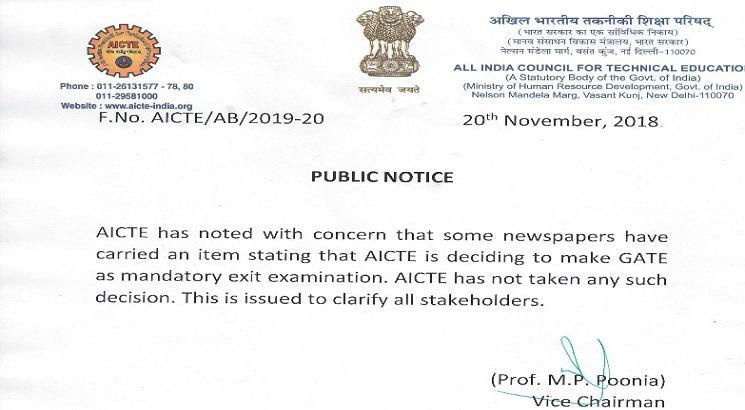 AICTE released a Notification regarding GATE. ‘The All India Council for Technical Education (AICTE) clarified that Graduate Aptitude Test in Engineering (GATE) is not mandatory for getting Engineering (BE/B.Tech) Degree’. AICTE Vice Chairman Prof. M P Poonia clarifies about GATE as a Mandatory exam for getting Engineering Graduate Degree. GATE Exam result has been released on 15 March 2019. GATE Answer Key 2019 official has been released on 20 February 2019. GATE 2019 Admit Card is available to download now. The GATE 2019 Admit Card can be easily accessed by entering the GATE 2019 Login details. Candidates can change examination city till 16 November 2018. The last date for submission of the complete application was 01 October 2018 (23:59 Hrs, IST). GATE 2019 application correction window was open from 31 October – 07 November 2018 make changes @ gate.iitm.ac.in. The dates of examination are 02, 03, 09 & 10 February 2019. Examination for all the papers will be Computer Based Tests (CBT). The GATE 2019 examination will be conducted for a total of 24 papers, A new paper Statistics (ST) is added in GATE 2019 Syllabus. 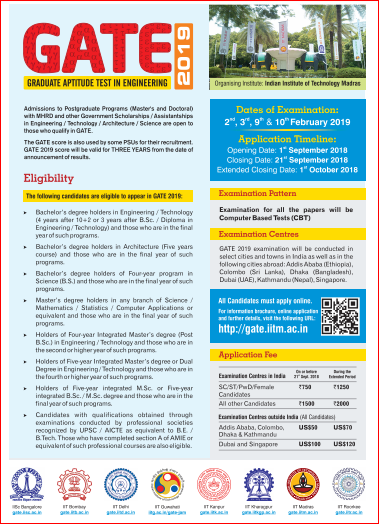 Download IIT GATE Information Brochure. (Saturday) S1 09:30 – 12.30 Hrs. S2 14:30 – 17:30 Hrs. (Sunday) S3 09:30 – 12.30 Hrs. S4 14:30 – 17:30 Hrs. (Saturday) S5 09:30 – 12.30 Hrs. S6 14:30 – 17:30 Hrs. (Sunday) S7 09:30 – 12.30 Hrs. S8 14:30 – 17:30 Hrs. The subject wise Answer key for Graduate Aptitude Test in Engineering 2019 will be released tentatively in the month of February 2019 on the Official Website of GOAPS. The Answer key helps Applicants to estimate their total scoring marks. The final Answer key will be released in the month of March 2019. 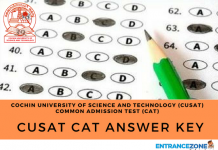 For Question paper and answer keys of Gate 2018 click here. GATEFORUM Coming soon! Coming soon! Engineers Academy Coming soon! Coming soon! Made Easy Coming soon! Coming soon! The Indian Institute Of Technology Madras has released the GATE 2019 Admit card today on 04 January 2019. Candidates will be able to download the Hall ticket from the Official website. GATE 2019 Hall Ticket will not be sent by E-mail or Post. Candidates can get the Hall ticket by entering their login details. Candidates, those enrollment IDs have been displayed on the website as a provisional, will have to carry the required documents & submit them to the exam centre to the Authorities. How to download GOAPS Admit card? Visit the Official Website of GOAPS. The GOAPS login window page will be opened on the computer screen. Enter your Enrollment ID/Email Address, Password & security code and click on “Submit”. The GAT 2019 Admit card will be displayed on the screen. Download the Admit card and keep it safe. Candidates are required to carry 1 Govt. approved Identity card along with the GATE 2019 Hall ticket. Given below are the Identity proof that can be carried by the candidates on the day of the examination. Firstly, the Registration will be done through online mode only. Also, the candidates can fill Online Application Form through Official Website. Then, register on the official website. Further, upload a recent passport size photograph, signature, left-hand thumb impression, graduation certificate (if applicable), and category certificate (if applicable). Also, international candidates have to possess a valid passport to apply. The rest of the application procedure is the same as for Indians. Secondly, upload the necessary documents. Now, pay the Application fees. Also, check the Application Form Status. Finally, download ScoreCard & Answer Sheets. GOAPS Enrollment ID will be given to each candidate registering for GATE 2019. GOAPS Password: Candidates must remember the GOAPS Password for future logins. Application fee can be paid through Net Banking, Debit Card, or e-Challan. 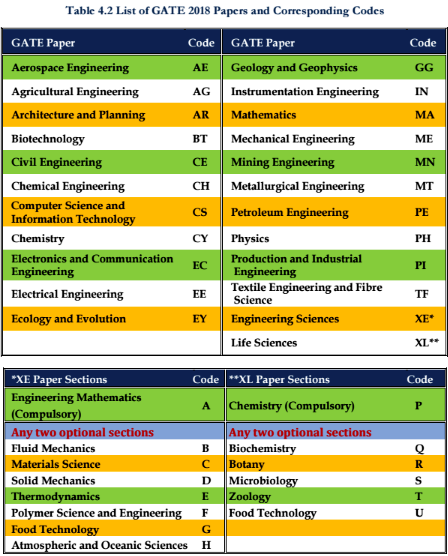 The list of Papers with corresponding code is given below. Negative Marking: For 1-mark & 2-mark MCQ, 1/3 & 2/3 mark will be deducted for a wrong answer respectively. Numerical Answer Type (NAT) Questions carrying 1 or 2 marks each. No Negative marking for NAT. Marks Distribution: 65 questions carrying 100 marks. Out of which 10 questions of 15 marks (total) will be on General Aptitude. 25 questions carrying 1-mark each. Section 1 (Geology) & Section 2 (Geophysics) (Attempt Any One):30 questions carrying 2-marks each. The GATE Result will be declared on 16 March 2019. Candidates can download it from the GOAPS website. It can be downloaded by entering the Enrollment number/Registration number & Date of birth. On the Official Website of GOAPS click on the “Result” link. The result page will be opened on the computer screen. Fill your “Enrollment Id”, “Registration No.” & “Date of Birth”. Now, click on the “Login” button. Download the GATE 2019 Result and keep photocopies of it. The GATE Score will be released after evaluation of answer sheets. The scorecard is important for admission process in various IITs etc. And The GATE score is valid for three years. What is the minimum rank required in GATE to get a job in any PSUs? NOTE: Further, many Public Sector Undertakings (PSUs) accepts GATE score in their recruitment process. Read Here about PSUs GATE RECRUITMENT 2019. The Indian Institute of Science (IISc), Bangalore and the seven Indian Institutes of Technology (at Bombay, Delhi, Guwahati, Kanpur, Kharagpur, Madras, and Roorkee). Examination Name Graduate Aptitude Test in Engineering (GATE). The stipend for GATE qualified: In India stipend of Rs.12,400/- for Masters program are given to GATE qualified students. GATE is a necessary requirement for admission seekers who are seeking admission and financial assistance supported by the MHRD and other Government agencies. (i) Master’s programs and direct PhD in Architecture/Engineering/Technology. (ii) Doctoral (PhD) programs in relevant branches of Science. Even many colleges and institutions the GATE qualification is mandatory for admission. which may not be supported by MHRD scholarship/assistantship. Exam Centres Selected Cities and Towns of India And abroad i.e. Addis Adabad (Ethiopia), Colombo (Sri Lanka), Dhaka (Bangladesh), Dubai (UAE), Kathmandu (Nepal), Singapore. Some of these Professional Societies / Institutions, which conduct the examination in various fields of Engineering, are as follows. The candidates who possess Certification from any of the Professional societies must ensure that those examinations conducted by the societies are approved by MHRD/AICTE as equivalent to B.E./B.Tech./B.Arch. The Graduate Aptitude Test in Engineering is a gateway for a large number of job options in PSUs and other Government Bodies. Also, GATE Score is accepted for higher studies abroad in Singapore, Germany& New Zealand. Download Government of India Scholarships for International Students PDF. Information Regarding GATE 2019 National & International Centres. Finally, stay tuned for more updates related to GATE 2019 with EntranceZone. What should be my strategy for preparing for the GATE in 2019? Please comment your answers!!! How can one prepare for the GATE 2019 by self Studying? 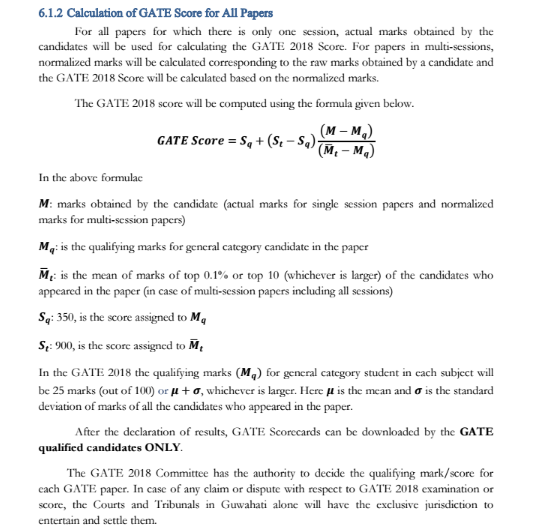 What is the exam paper pattern for Gate 2019? 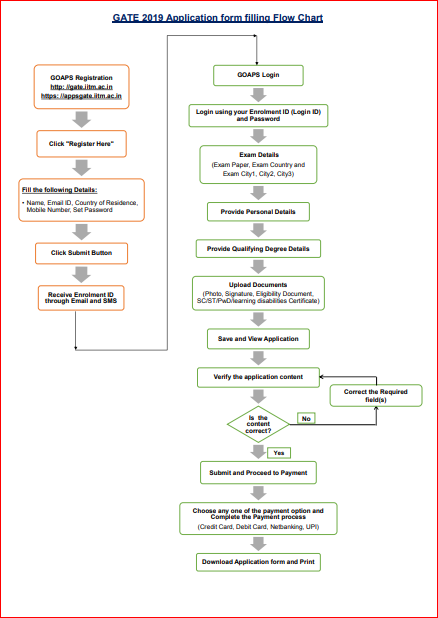 The detailed exam pattern is given above in the article along with information brochure released by IIT Madras. 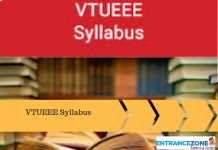 What are the best books for preparation for the GATE in CSE 2019? The list of best book is available above in the article. Which IIT is going to conduct the GATE 2019? What are the best JOB opportunities through GATE 2019?